This weekend I am attending and presenting at the 2016 Missouri State Social Studies Convention in Columbia, Missouri. "BreakoutEDU - History With a Challenge"
"Connect With the General - Mount Vernon Resources and Opportunities"
This weekend I will be attending and presenting at the 2016 Kansas City Google Summit. The thing I enjoy about Google Summits is the intense focus on innovation and new ideas. 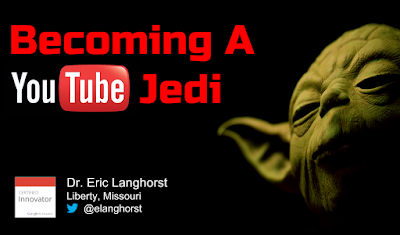 Saturday I will be presenting "Becoming a YouTube Jedi" and discuss a variety of ways you can use YouTube to edit and watch video online. Resources for my YouTube presentation can be found here. On Sunday I will be presenting "Getting Geeky With Google Maps" with a focus on different ways you can create and use custom maps on Google. 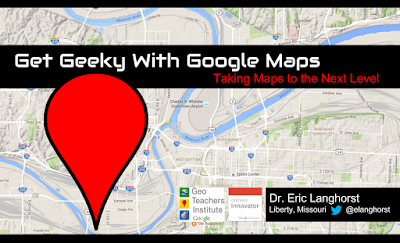 Resources for my Google Maps presentation can be found here.